An underwater search team led by the billionaire co-founder of Microsoft, Paul Allen, has discovered the wreckage of the USS Lexington, a 76-year-old World War II aircraft carrier sunk in the Coral Sea. 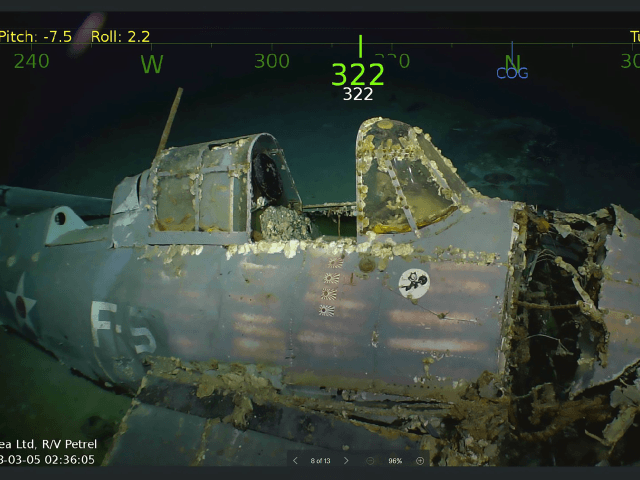 The Independent reports that the wreckage of the USS Lexington has been discovered in the Coral Sea by a team led by the co-founder of Microsoft, Paul Allen. The ship which was known as the “Lady Lex” was discovered 3,000 meters below the surface of the Coral Sea, 500 miles off the eastern coast of Australia. The team’s search vessel, the RV Petrel, took photos of the underwater aircraft carrier include aircraft that were extremely well preserved. Photos show that the aircraft had the five-pointed star insignia of the US Army Air Forces on the wings, along with the squadron’s “Felix the Cat” insignia. The Lexington was sunk during the first ever battle between aircraft carriers during the Battle of the Coral Sea, which took place between May 4 and May 8, 1942. The battle took the lives of 200 crew members from the USS Lexington. The carrier was deliberately sunk by another U.S. warship after it was critically damaged by Japanese torpedos and bombs. 2,800 members of the ship’s crew were rescued before the ship was sunk. President Donald Trump paid tribute to Veterans of the Battle of the Coral Sea at a 2017 event commemorating the seventy-fifth anniversary of the battle. Allen’s team has discovered several other WWII ships including the USS Indianapolis and the Japanese battleship Musashi.